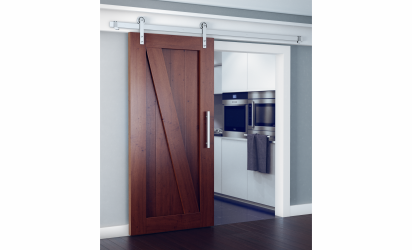 The heavy duty industrial appearance of the Brio Open Square Rail Wood will suit any contemporary interior and with capacity of 330lbs panels at 6’6″ wide, the system is sure to impress. 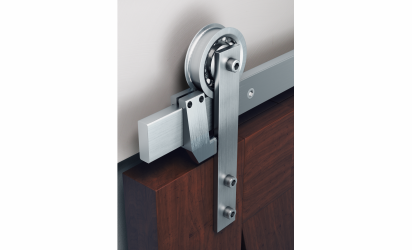 Exposed precision bearings and 304 stainless steel strap fixings offer a unique industrial aesthetic which is in high demand for residential and commercial applications. The 304 stainless steel rollers and brushed stainless steel rail are also available in a PVD Black finish. 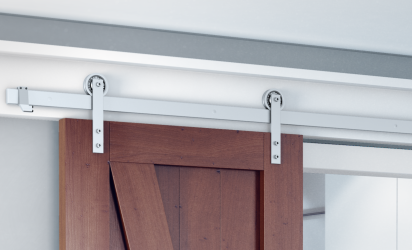 A multitude of guide options make Brio’s Open Round Rail Timber versatile for any situation. Also available in the range is Brio’s Open Round Rail Glass and Wood for 100kg panels.